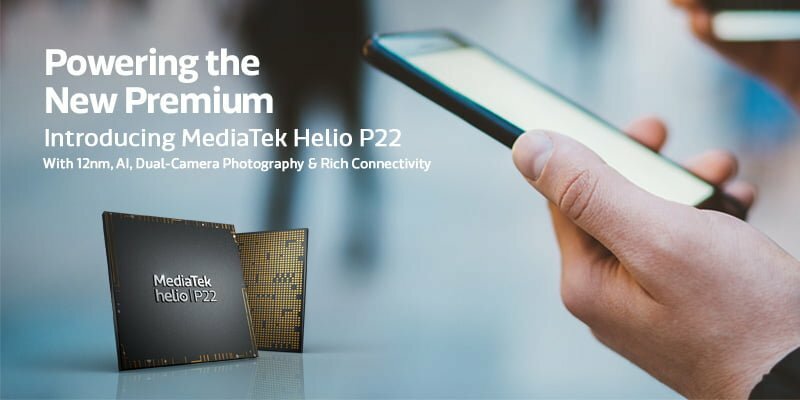 MediaTek, the chipset company which is currently riding high on the Helio P60 chipset success has now announced the launch of Helio P22 chip. The Helio P22 SoC takes a lot of features from its bigger sibling Helio P60 chipset. Firstly, the chipset is built on 12nm manufacturing process which is a first in the lower mid-range segment. MediaTek says that with the P22, it offers the benefits of AI, advanced photography, high-speed connectivity options to even more affordably priced devices. 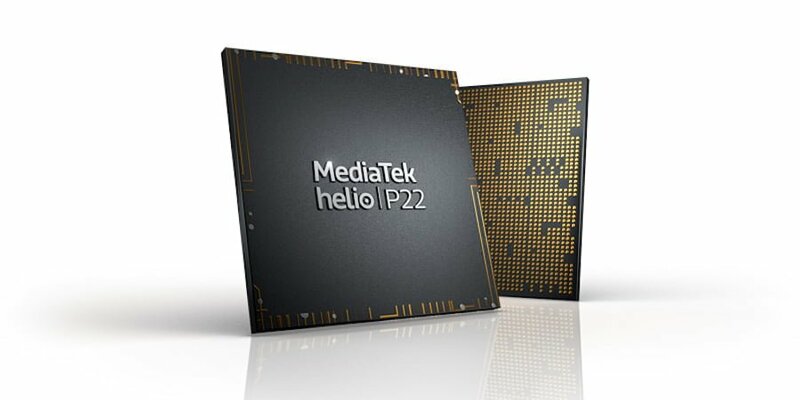 MediaTek also confirmed the Helio P22 is in volume production at the moment and is expected to be available in consumer devices by the end of Q2 2018. The first manufacturers to make use of the new chipset would be Oppo and Vivo. As mentioned, the MediaTek Helio P22 is built with TSMC’s 12nm FinFET technology, which was also used to manufacture the Helio P60. So the chipset will deliver exceptional battery life, keeping the performance top-notch at the same. It has an octa-core CPU with eight Cortex A53 processors operating at a maximum clock speed of 2.0 GHz. This means the chipset will offer sustainable high CPU performance while requiring low power inputs. The Helio P22 also comes with various new photography and faster connectivity options. For starters, the Helio P22 also supports dual 4G connectivity in both the SIM cards, same as the Helio P60. Other connectivity options include Wi-Fi 802.11ac, Bluetooth 5.0 and the 4-Satellite system GNSS makes up for faster, more efficient & accurate connectivity locally and globally. And as usual, how can we get past a day without hearing AI word? The MediaTek Helio P22, like its elder sibling, also benefits from Edge AI enhancements powered by MediaTek NeuroPilot. The common AI frameworks such as TensorFlow, TF Lite, Caffe and Caffe2, the Helio P22 makes most of the AI. Furthermore, AI accelerated camera experiences including Face ID, smart photo album and single-camera as well as the dual-camera depth of field features are all supported. Camera wise, the Helio P22 brings hardware-driven dual camera support for 13MP+8MP setups at a fast 30 frames-per-second (FPS). “With a low-power, highly capable hardware depth engine for real-time Bokeh preview, the chipset is equipped to minimise grain, noise, aliasing, chromatic aberration and more; enabling crisp and clear images under varying lighting conditions. Advanced 3A and MediaTek’s Camera Control Unit (CCU) hardware with high auto-exposure convergence speeds allow for users to capitalise on quick-capture moments on the move,” said MediaTek in a media statement. Lastly, the Helio P22 chipset supports 20:9 HD+ displays with a resolution of 1600 x 720 pixels. MediaTek’s Helio P60 received praises from every corner and is giving a run to Snapdragon 636 and 660 chipset-powered smartphones in the market. Mediatek chipset the p22 has amazing specifications and features. Loved its performance. Very suitable for the mid section devices. Moto G6 Plus won’t launch in India!!!! !